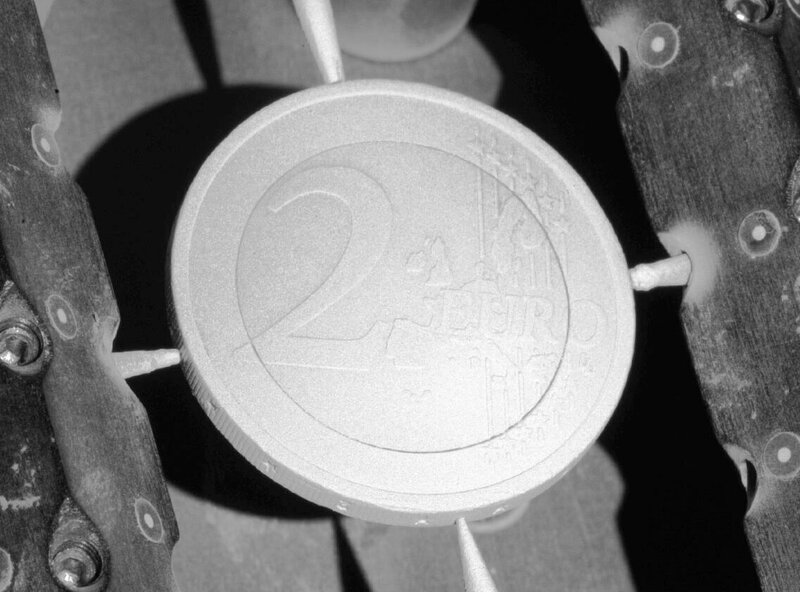 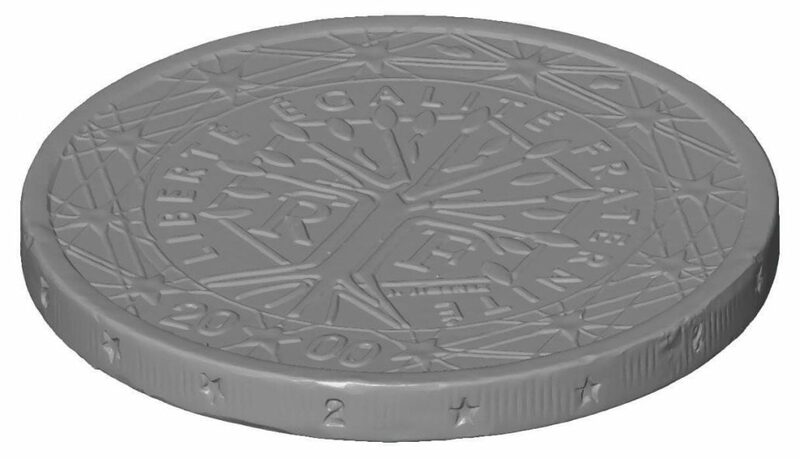 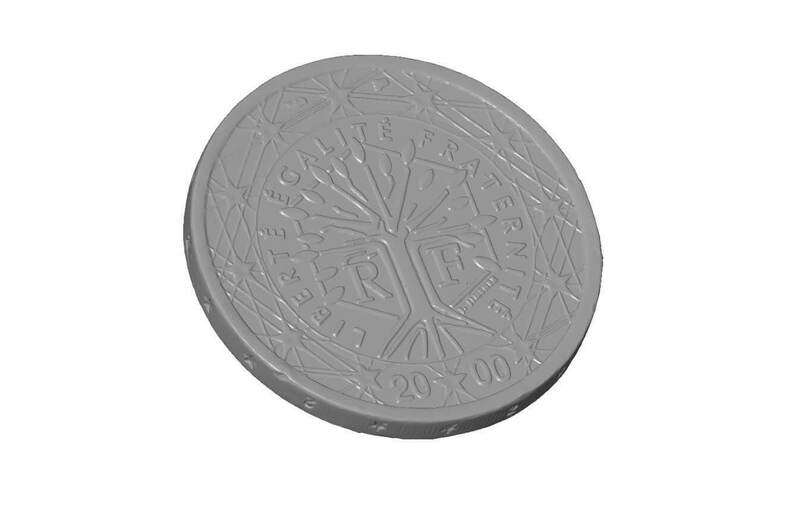 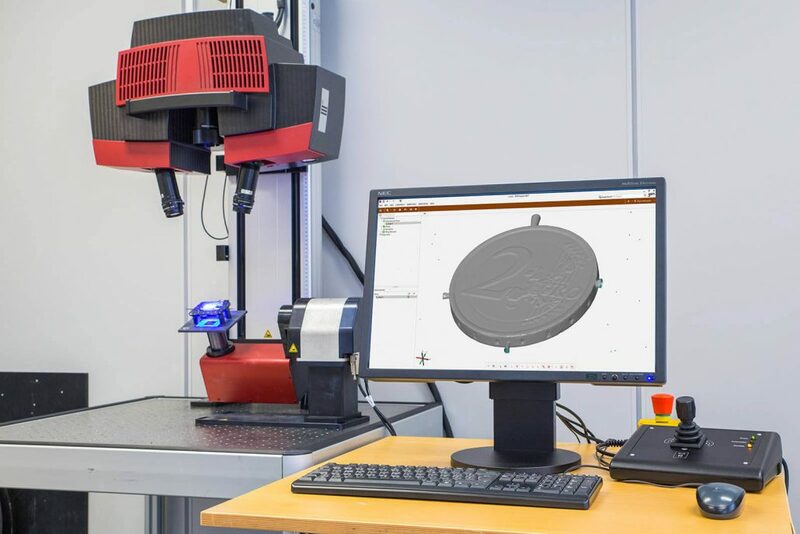 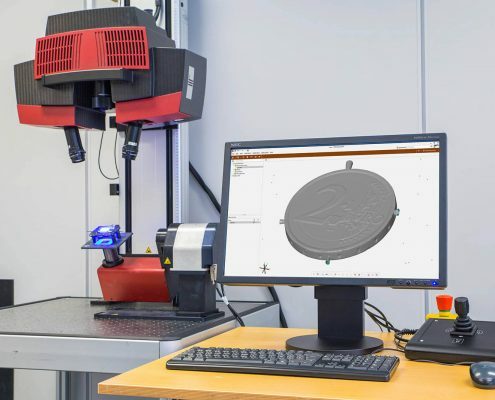 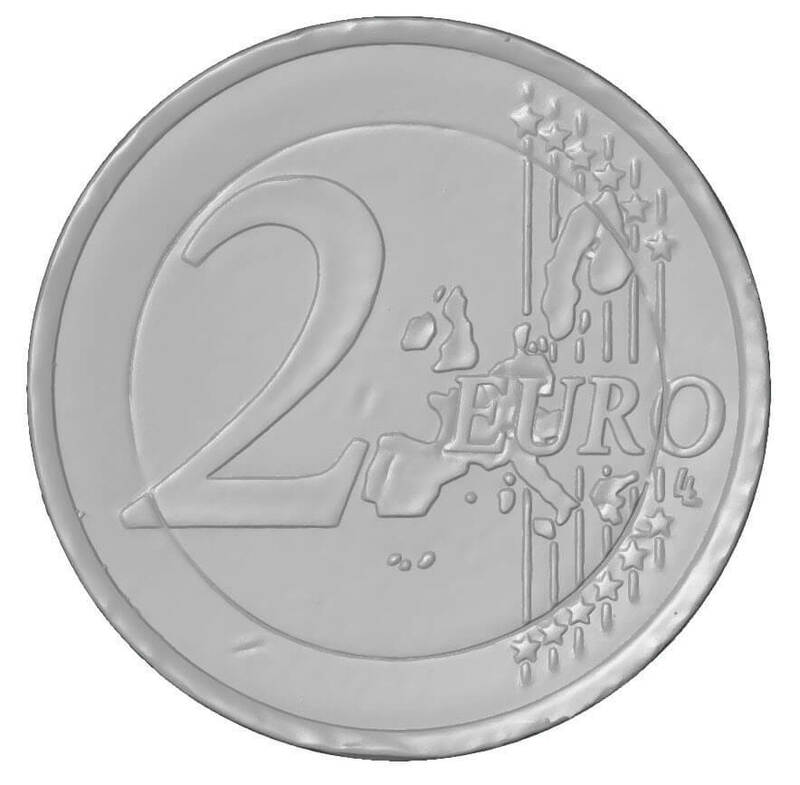 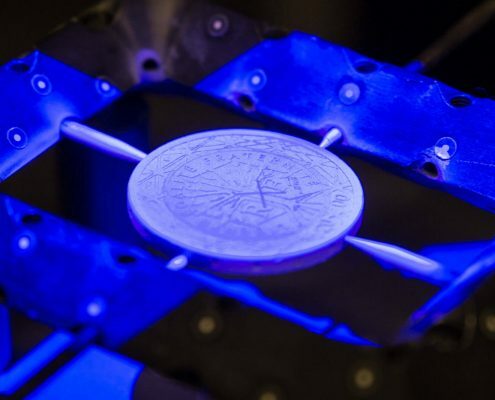 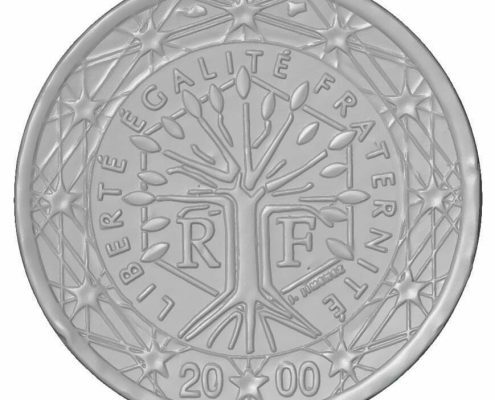 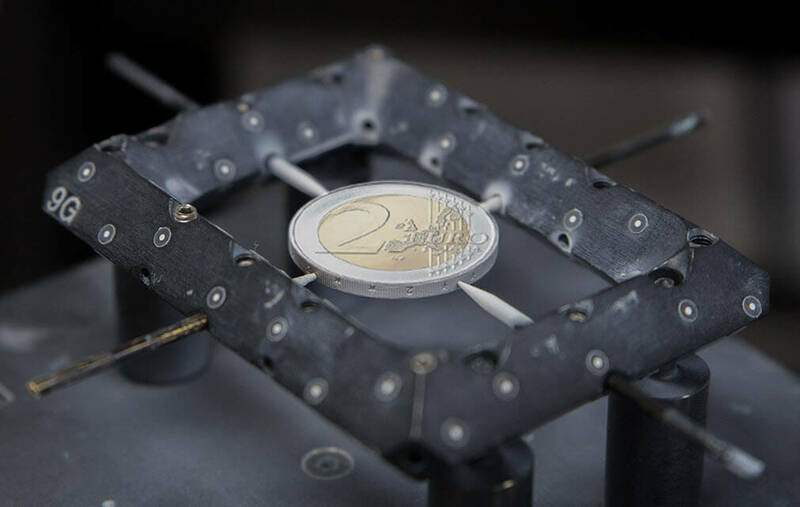 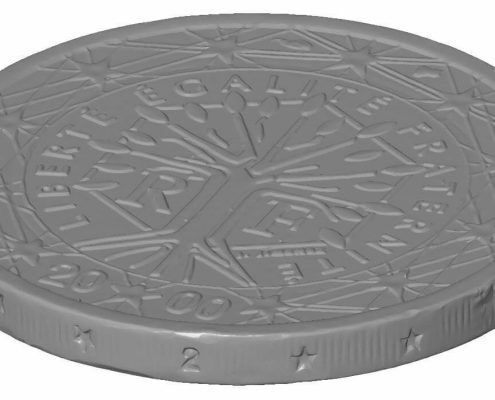 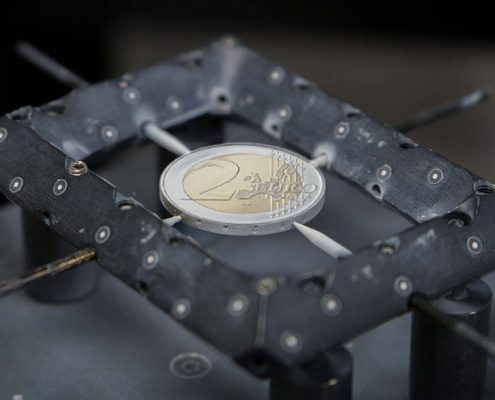 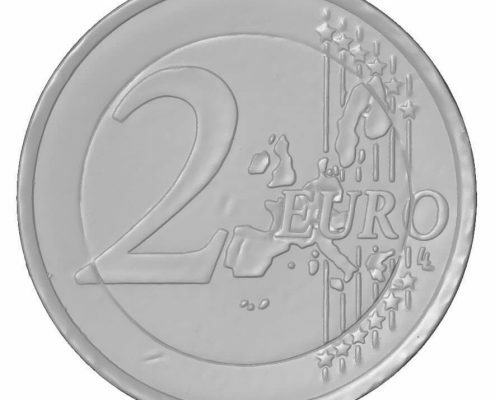 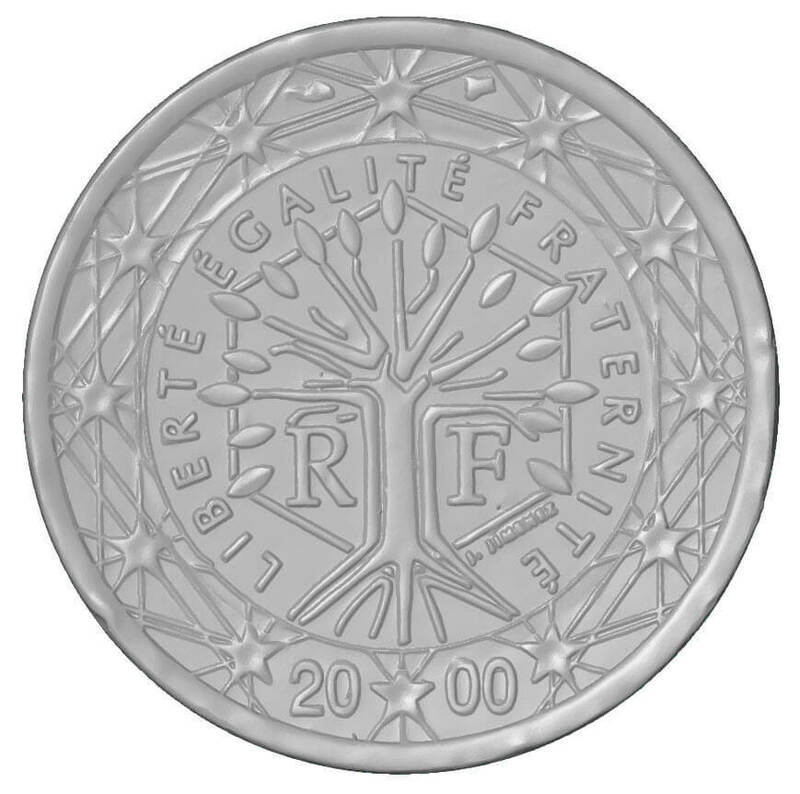 The TetraVision team digitized a 2 Euro coin. 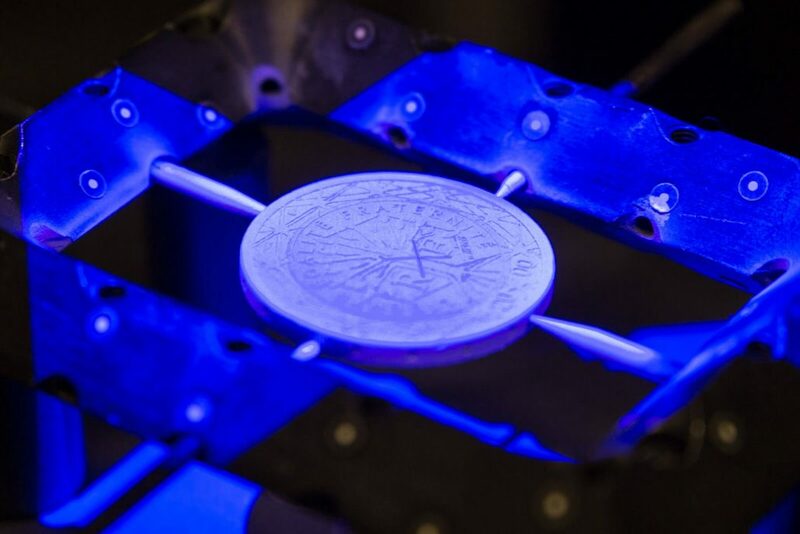 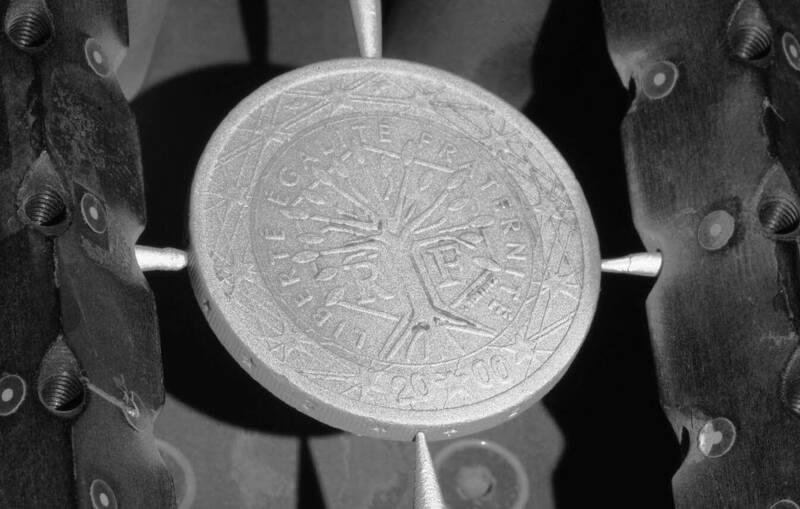 We only needed to close very few holes and then of course the ones where the needles of the fixture touched the coin. 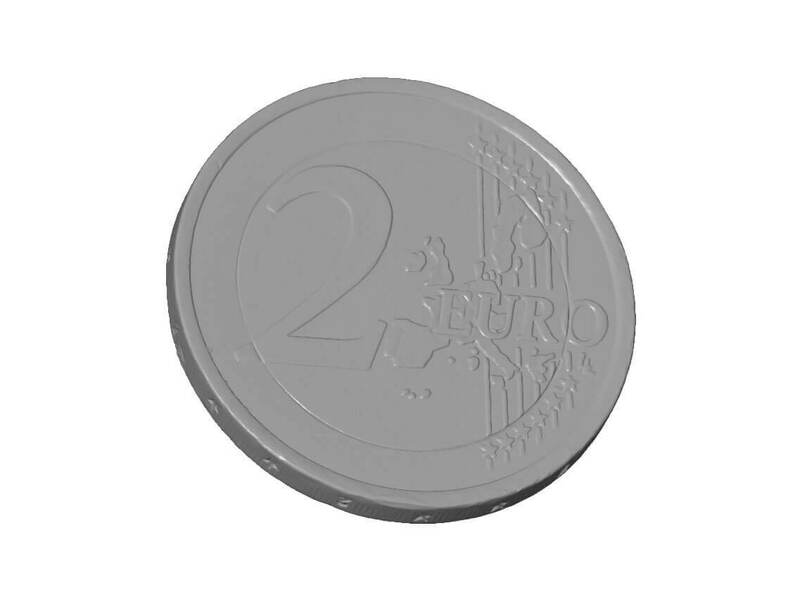 Feel free to download our scan and check the quality for yourself. 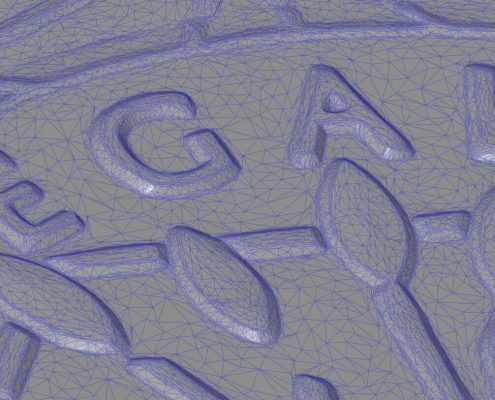 The stl-file is wrapped in a zip-file so you will need to unpack this before viewing the file. 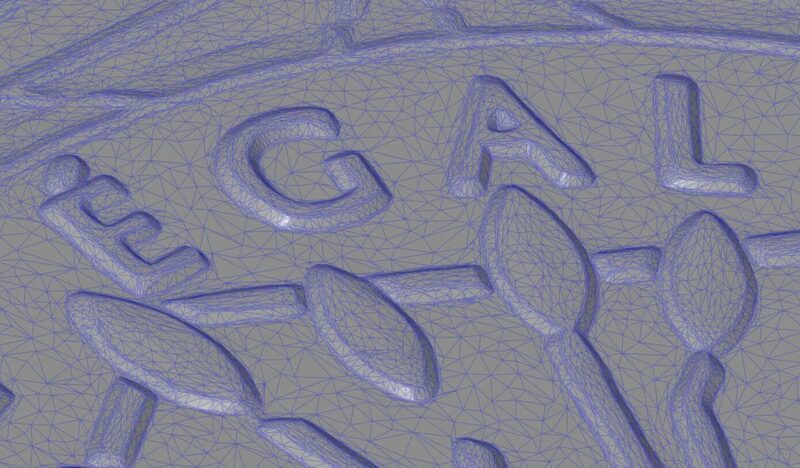 Please note that this model is filtered to reduce the loading time.